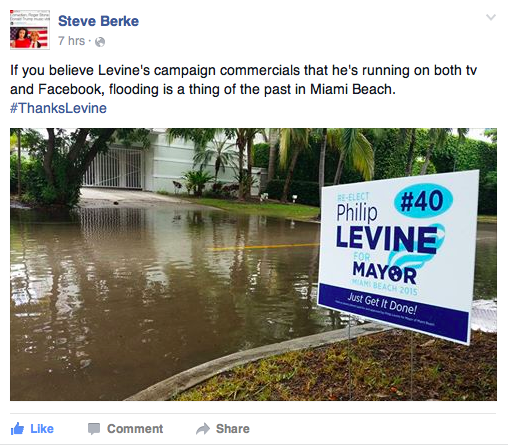 When Philip Levine ran for Miami Beach mayor in 2013, he pledged to fix the city's streets and "stop the flooding." Less than two years later and up for re-election, he's claiming victory with ads like this. 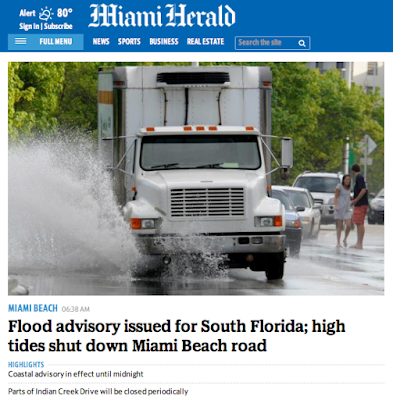 But for the past few days, South Florida newspapers and TV stations are showing pictures of flooded Miami Beach streets. And social media is lighting up with residents posting pictures of streets in front of their homes that look more like lakes. 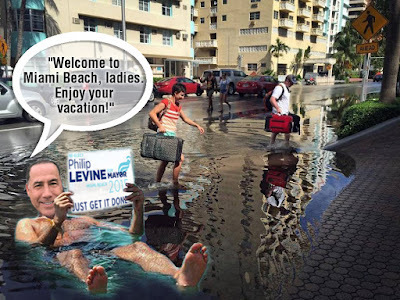 But Phil "Just Get It Done" Levine didn't get to be mayor of America's most water-logged city Winter Playground by listening to a bunch of crybabies. When life gives him lemons, he makes lemonade. Behold his latest campaign ad! 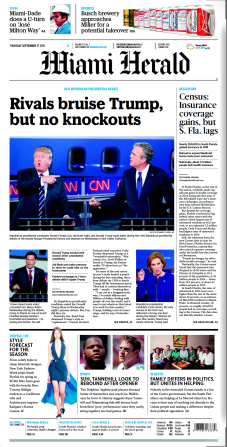 Miami Herald, Sept. 17, 2015, page 2A. 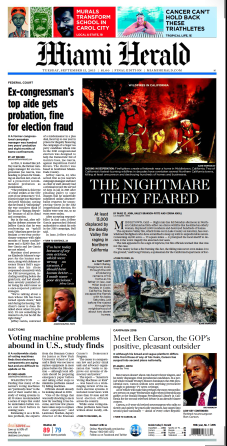 We packaged all news in the A section to underscore our emphasis on local news. This is what we do best and a key reason why so many of our readers turn to us. Our reporters and editors produce coverage unmatched by any local source — from the halls of municipal governments to the state Capitol and across the Caribbean and Latin America. These are the stories we are uniquely poised to bring you. Come on, Mindy, why not tell the truth? The Herald's local news coverage is almost non-existent....especially on weekends. It's time to level with your readers and tell them the Herald is no longer able to adequately cover local news. 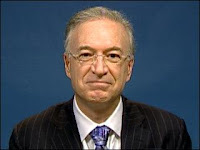 I'm sure by now, you've read attorney Roy Black's critique of the Herald's local news coverage. On the re-design, Black had this to say: "I think they merged the sections to cover up the reduction in local reporting." I'm afraid I have to agree with Black. This is a screen shot of your website this morning. 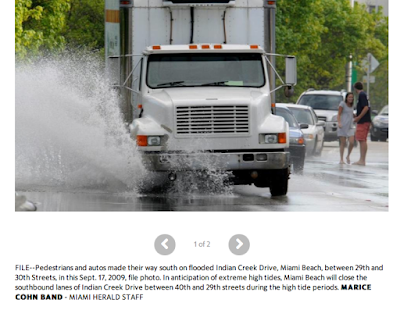 The story, posted yesterday, talks about flooding on Indian Creek drive in Miami Beach. The problem is that the photos used to illustrate the story are 6 years old. Really, Mindy? 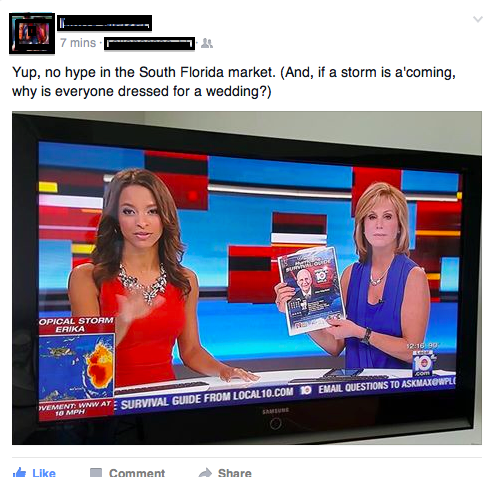 This is your definition of "emphasis on local news?" Six-year-old photographs? This morning's paper has four pages devoted to yesterday's Dolphins game. Sports coverage is fine, I suppose. But local news is important too. The Herald couldn't find a photographer to take some pictures of the flooding? You had to resort to using 6-year-old old file photos? In this morning's paper, the Miami Beach flooding story was relegated to page 6A...paired with a photo of the moon taken in Berlin, Germany. Whose idea was that? So, how about it, Mindy? Why not write an honest column that tells the truth about the current state of the Herald? Here, let me help you: "We killed the local section and buried what's left of our coverage inside another section to underscore our emphasis on local news." But please stop blowing smoke up your readers' asses. Instead, why not shine a bright light on the Herald's failings? Your readers aren't stupid. Tell your readers that the days of the Herald producing "coverage unmatched by any local source" are a thing of the past. And while you're at it, why not include a paragraph or two on how your ineptitude cost the Herald a Pulitzer this year? Come on, Mindy, let it all out. Tell the truth for a change. 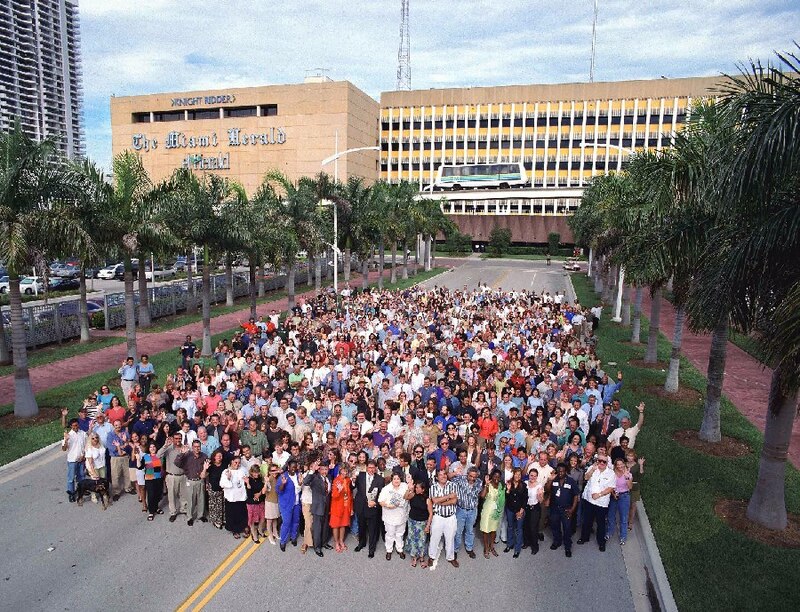 Miami Herald employees pose in front of One Herald Plaza, circa 2003. Roy Black loves reading newspapers. Over the weekend the famed criminal defense attorney shared that bit of information with his Facebook friends and followers. 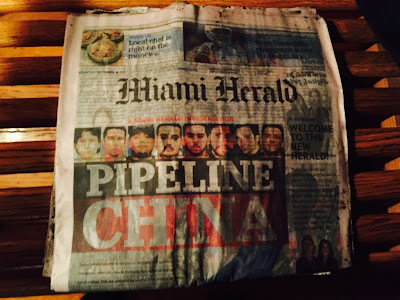 Black also let it be known that he wasn't happy with the new look the Miami Herald unveiled last week. "The paper as I knew it for the past few decades has passed away. I will mourn its demise," wrote Black. More than a few in the Herald newsroom read Black's rant and commented on a Facebook page frequented by current and former Herald staffers. Yesterday, a current Herald staffer penned a rebuttal to Black's rant that somehow made its way into my inbox. Congratulations to you. You have uncovered the Herald's dirty little secret: We are not particularly well. We have hemorrahged staff, and now we are cutting off newspaper body parts to meet our budget. Worse, you say, newspaper leadership is doing what all other corporate leaders do. 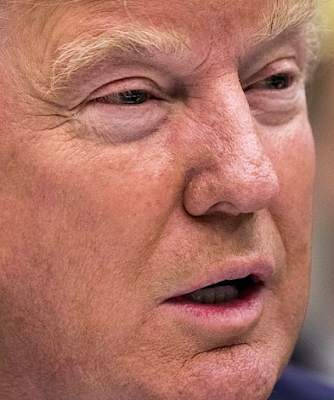 They are telling you the patient could not be healthier, despite that gaunt, sunken look you have observed with your own eyes. 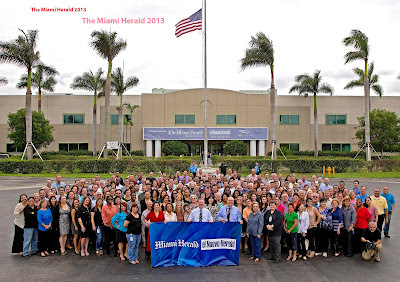 But here is what you also know, and choose to ignore, while you blast away at that fish in the barrel: Nobody at the Herald woke up one morning and decided it would be a good idea to move to a warehouse in Doral. Nobody at the Herald thought it made sense to lay off most of the paper's reporters and copy editors. Nobody chose to dismember the print edition. Nobody wants to watch helplessly while the institution we've loved suffers and dies. Mr. Black, all the retired Herald people who are trashing us on Facebook, and everyone else who claims to care about quality local journalism in Miami: Your sadness and outrage won't eliminate that $1 billion debt that hangs over our corporate owners like an albatross. Your sadness and outrage won't cause those corporate owners to reorganize the company so that the newspapers have a fighting chance -- though at the expense of their million-dollar bonuses. If you care about local accountability, if you care about the quality journalism you are mourning -- if you care about any of it -- dig into your own pockets and buy us. But only if you also believe in editorial independence. Otherwise, all your whining is just so much noise. "It is unbecoming for news people - who regularly explore the failings of other institutions - to whine when others detect failings in their institutions. "Why are they so sensitive and defensive? No one has taken a shot at the rank and file there - no one. Everyone who ever worked there knows that it's primarily corporate's fault. The critics and what's left of the newsroom are actually all on the same side, trying to get the same message to corporate." The Miami Herald unveiled a re-design of its printed newspaper last Wednesday. By now, some of you are probably asking, "Wait....the Herald still prints a newspaper?" Yes, they still print a newspaper for die-hard fans of print journalism. In a nutshell, the new look is cleaner and easier to read. On the downside, there's less to read. They have eliminated the freestanding local section. Instead, local news is now in the A section along with the business news. A few days ago, Herald executive editor Mindy Marques wrote about the feedback she's received from readers. However, many of you told us you missed having local and business news in separate sections. 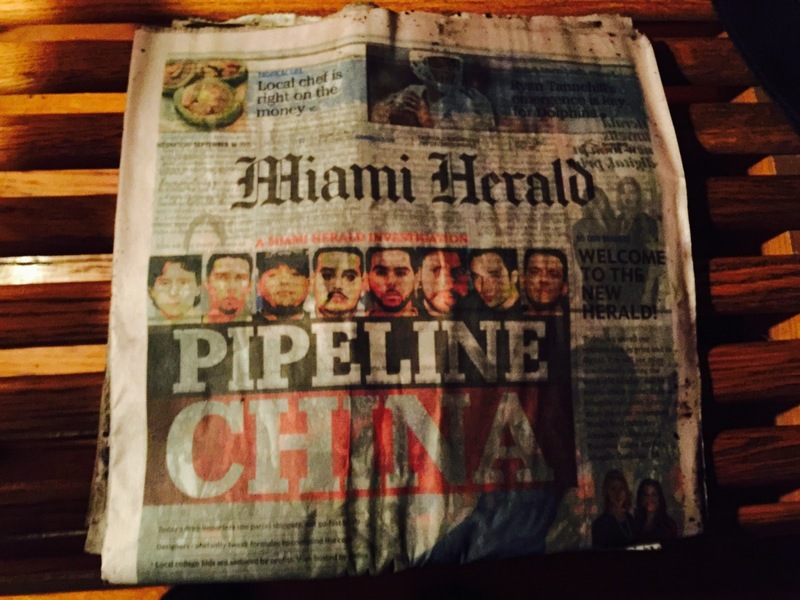 “I have been reading the Miami Herald for 40 years and the new format really stinks,” one reader wrote. Apparently no one at the Herald gave any thought to the fact that many people who still read print editions of any newspaper do so because they're resistant to change. In her column, Marques said, "We packaged all news in the A section to underscore our emphasis on local news." I love reading newspapers. I get 7 or 8 a day. Some hard copy some electronic. 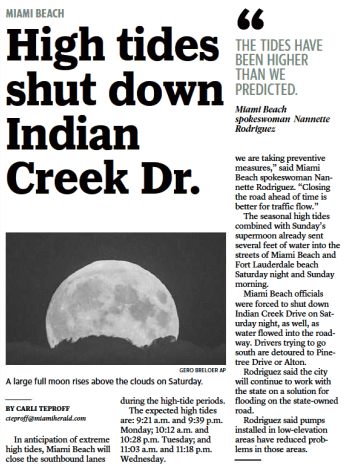 So it is with great sadness that, after “reading” this morning’s edition of the Miami Herald, I can only say RIP. The paper as I knew it for the past few decades has passed away. I will mourn its demise. They sound like Carly Fiorina justifying her disastrous job at HP. The only reason to get the paper is for the local news. We can get national news everywhere on the web. The Herald would be better off if they abandoned the national news and only reported the local. In case you haven’t noticed they made sure to keep sports in its own section. That tells you what is important to them. In today’s edition there is virtually nothing on local reporting. A couple of pages filled more with advertising than information. I think they merged the sections to cover up the reduction in local reporting. So there is no longer any reason to get the paper. It has lost its relevance. tell him it closed in Jan. 2014...two months after he took office. On his official website, Miami Beach Mayor Philip "Just Get It Done" Levine brags about how he started a media empire with just $500. In 1990, with only $500 in capital, Philip launched Onboard Media, a start-up business that originated in a studio apartment above the News Café on Ocean Drive. Designed as a port-marketing program for the cruise industry, the company expanded to publish eighty-five in-stateroom magazines and to produce award-winning TV programming. 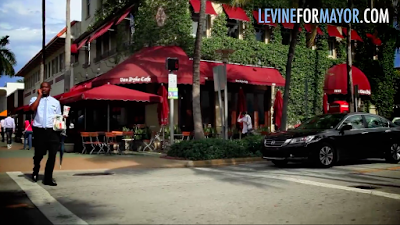 But Levine's newest campaign ad - rolled out today - is anything but "award winning." As an announcer talks about how Miami Beach streets were flooded for years while city hall did nothing, we're quickly reassured that "new pumps are [now] returning filtered floodwaters back to the sea and the streets are drier," as the camera shows us a postcard-lovely shot of the wonderful old Van Dyke Cafe. "All because a mayor cared enough to fight back," intones the announcer. 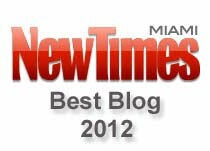 In 2014, Levine crowed to a magazine writer "I made more money in my first year [of business] than the Miami Herald made in the past 10." Hopefully Levine paid more attention to the media he was producing back in the day than he does these days. One wonders how a man who made millions producing "award-winning TV programming" approved an ad that shows an outdated shot of a restaurant that closed more than a year and half ago. When I showed the ad to political blogger Elaine de Valle, her reaction was "so that means the video of Lincoln Road is STOCK VIDEO from BEFORE the flooding was fixed??? Are you kidding me? This is gold!" 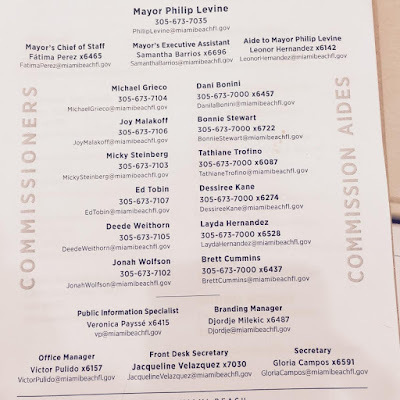 At last week's City of Miami Beach budget meeting, vice-mayor Ed Tobin spent some time trying to get answers about expenses incurred by the mayor's office since Mayor Philip Levine assumed command two years ago. This IS NOT Mayor Philip Levine's chauffeur! 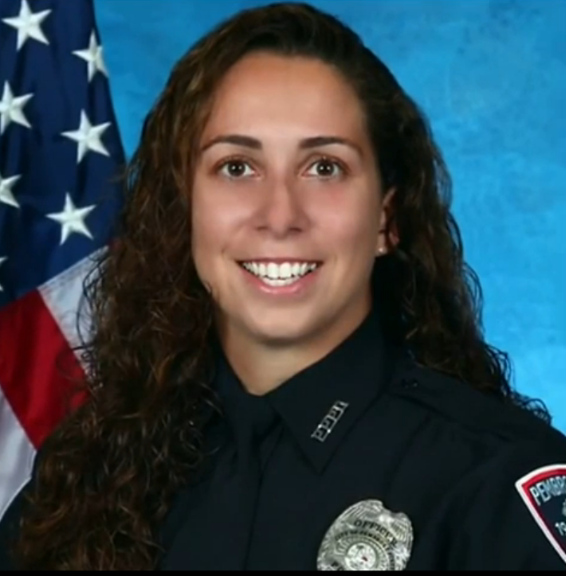 At one point Tobin began asking questions about a driver assigned to the mayor's office. At the 0:32 mark on the video above, City Manager Jimmy Morales explains that the mayor's driver "is through our security guard contract when as needed [we] request the assistance of a driver or a guard be provided." Tobin then asks budget director John Woodruff (at 1:50 on the video) "How much is the chauffeur costing us?" Woodruff responds: "I think, in sum, it's around $90,000...that sounds correct. But I think it encompasses more than just the driver, for example, I think it's security and some different aspects." The following day, I wrote a post that quoted the $90,000 figure for the mayor's driver. But I still had questions: Does Mayor Levine really have a $90,000 a year chauffeur? 1) Is the mayor's driver a city employee? 2) Does the mayor's driver perform any other duties besides driving the mayor? 3) What is his annual salary? 1) Is the mayor's driver a city employee? No. 2) Does the mayor's driver perform any other duties besides driving the mayor? Yes. 3) What is his annual salary? He is not salaried. His rate of pay is $32.81 per hour. Yesterday, I followed up by asking what the driver's additional duties are. Turns out that driving the mayor is just part of the chauffeur's duties. His official title is "Supervisory Security Officer." And he is, as Morales explained, a contract employee. Security for the City Hall campus is the responsibility of the Department of Emergency Management. The City has contracted with AlliedBarton to provide a number of security officers and a supervisor to staff posts in City Hall and the 555 Building. o Scheduling of security officers. o Maintenance of time and attendance records. 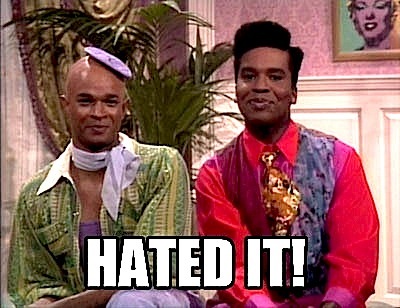 o Approving security officer incident reports. o Video and alarm monitoring. * Coordinate and conduct initial and in-service training of security officers posted at City Hall. * Develop and revise post orders as required. * Assist in conducting threat and security assessments for City facilities and events. * Provide security at the EOC during activations. * Provide security at Commission Meetings and other City events as directed. * Coordinate scheduling of additional security officers for special events and other projects when requested. o Provide security and transportation for Mayor, Commissioners, City Manager and other individuals as directed. o Conduct site security assessments and route selection related to above duties. o Collect and analyze information regarding potential threats towards elected officials, City employees and City property. * Maintain situational awareness as to safety and security issues within the City. * Perform other duties as directed by the Director of the Department of Emergency Management. IRVING — Ahmed Mohamed — who makes his own radios and repairs his own go-kart — hoped to impress his teachers when he brought a homemade clock to MacArthur High on Monday. Miami Beach Mayor Philip Levine is fond of telling his constituents that he doesn't take a paycheck for the wonderful work he does. "I am the guy who spent $2M to clean this place up, [and I don't] take a salary or expenses," he recently reminded a disenchanted former supporter. 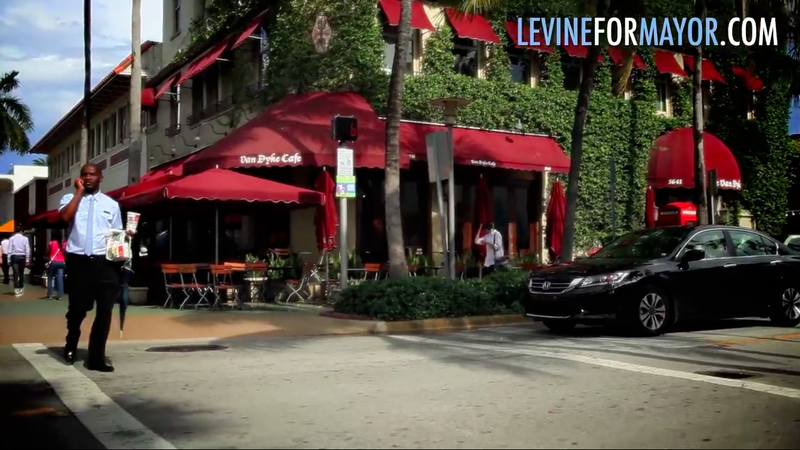 And on his campaign website, Levine says, "Taxpayers work hard for their money. This City should work equally hard to ensure that money is wisely spent." But just because Levine doesn't take a city paycheck — and hollow campaign clichés notwithstanding — doesn't mean he's not spending the taxpayers' money like a drunken sailor. Yesterday, outgoing Beach Commissioner Ed Tobin chaired a meeting on the city's budget. Inexplicably, however, the mayor was absent despite the fact the meeting had been on the calendar for months. 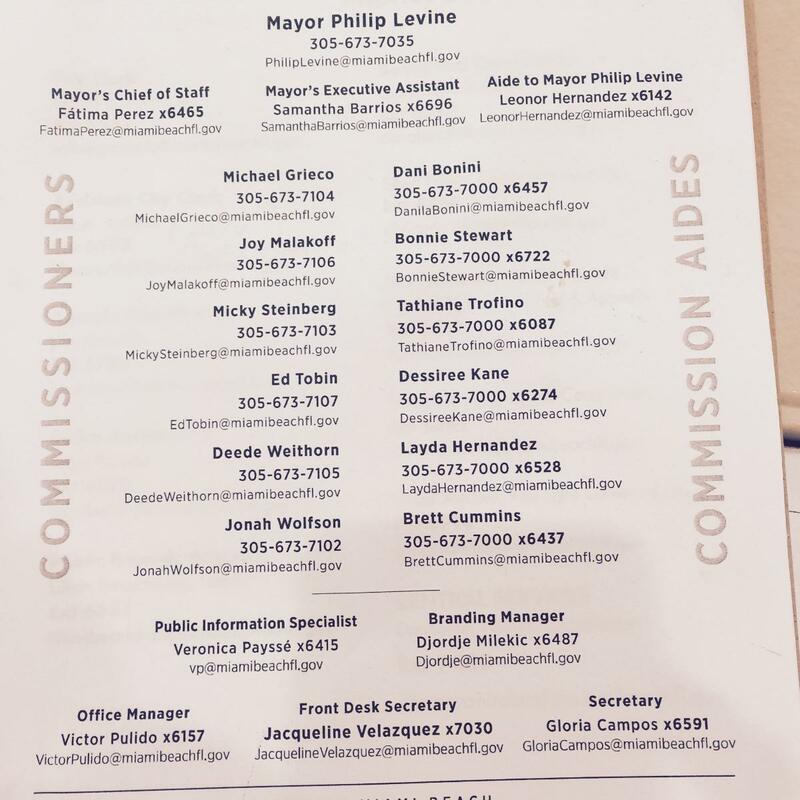 @joeflech hard to believe Mayor Philip Levine is absent for an important commission meeting to discuss budget. One wonders how the meeting would have gone had the mayor been present. Almost immediately, Tobin turned his attention to the increased staffing in the mayor's office since Levine assumed command in 2013. Tobin is asking a lot of questions about increased personnel in mayor and commission’s office, including several PR jobs. Tobin noted "the mayor has increased his staff significantly," and expressed concerns that some of the mayor's staffers seem to have been hired to do Levine's PR work. Tobin also repeatedly tried to find out how much taxpayers were paying for Levine's "chauffeur." "Tell us about the chauffeur," Tobin implored. 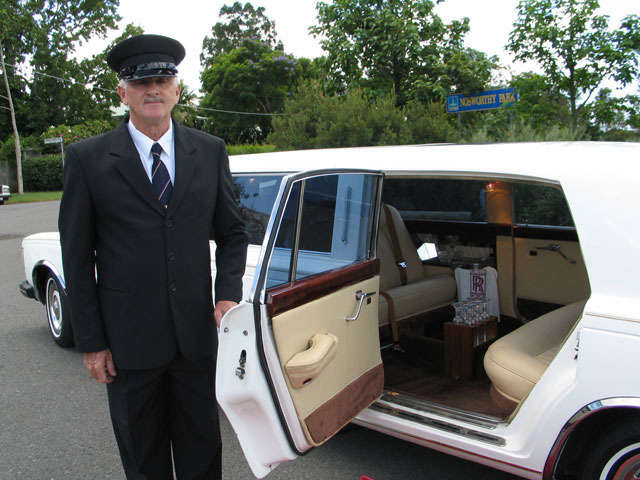 "How much is the chauffeur costing us?" After quite a bit of prodding, Tobin was able to get Budget Director John Woodruff to admit the cost taxpayers to have a chauffeur squire the mayor around town is about $90,000 a year. Tobin then turned his attention back to the mayor's public relations people. "We have an extra four employees we never had before, " said Tobin. Turns out the mayor does have quite a bloated staff, including a secretary, a front desk secretary, an office manager, a chief of staff, an aide, an executive assistant, a public relations specialist, and something called a "branding manager." All this for the mayor of a town with less than 100,000 residents. One of the questions not asked at the meeting was "Why in the hell does Levine need a branding manager?" His branding manager, I've learned, is a guy named Djordje Milekic. He's the lucky dude who gets to follow the mayor around the city with a camera and preserve moments - like the one you see below - for the enjoyment of generations of Miami Beach citizens not yet born. Best unscripted moment of the meeting came when Tobin cut off Commissioner Jonah "Potty Mouth" Wolfson's microphone after he attacked Commissioner Deede Weithorn after she raised questions about the city's budget. But my favorite moment came when Tobin was discussing the city's Emergency Management department and Tobin called, Chuck Tear, the city's emergency manager, "one of the greatest Americans in the modern history." I'm still trying to figure out what that means. Ed never disappoints. 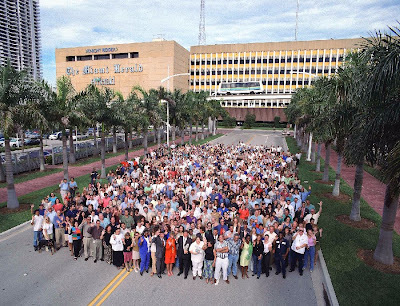 Marty Merzer retired from the Miami Herald in 2008 after more than 29 years at the paper. In those years, Merzer wrote hundreds of stories about hurricanes. 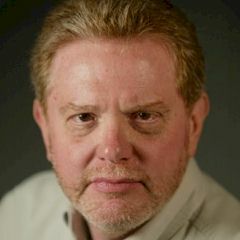 His work during Hurricane Andrew in 1992 helped the Herald win the Pulitzer Prize for Public Service. But while Merzer is retired, he's still keeping his eye on the tropics. During hurricane season, he constantly updates his Facebook friends on tropical weather from a fortified bunker in Tallahassee. A few words about Tropical Storm Erika and the concern I'm seeing expressed on Facebook: Over the years, I've learned some things about these situations. First of all, everyone in the hurricane zone always should be prepared for tropical weather systems and, as we approach the peak of the season and with Erika out there, this would be a wise time to check and restock your hurricane supplies, perform a test run on your auxiliary generator (if you have one), keep an eye on your vehicle's fuel supply and propane for your grill, etc. But when it comes specifically to Erika, the storm is still on the other side of the outermost Caribbean islands, exactly 1,602 miles from Miami (roughly the distance from Miami to Denver) and 1,955 miles from Tallahassee. The five-day forecast track is pointing toward Florida's East Coast, but five days is a lifetime in the span of a tropical system and many things can and likely will happen during those five days. Dan Brown and the other hurricane forecasters at the NHC are, quite literally, the best in the world, and they are telling you that the four- and five-day forecasts should be taken as general guidance, as a very early alert, but not as gospel. I'm told that the broadcast media in South Florida is in team coverage already and hyping like crazy, with one anchor or reporter asking former NHC Director Max Mayfield the other day if it was time to put up the storm shutters - with Erika nearly 2,000 miles away. Bottom line: Take Erika seriously. Keep an eye on it and prepare accordingly. But, at this point, imo, get a grip. And beware of premature media hype, which can lead to a perilous boy-crying-wolf syndrome when an imminent threat really does appear. "Boy crying wolf?" Like this, Marty?? Eriika, is long gone, but Merzer is still on the case. Important reading for anyone interested in the limitations still inherent in forecasting hurricane track and intensity - complicated by media inexperience or ignorance or intentional over-dramatization. A key section: "Although NHC’s Tropical Cyclone Discussions (TCDs) repeatedly talked about the uncertainty surrounding Erika’s future beyond the Caribbean, including the possibility that the cyclone could dissipate before reaching Florida, it does not appear that this was a prominent part of the media’s message to Florida residents.... Reaching anyone in the television industry with such [media] training, except for on-camera meteorologists, has proven over the years to be very difficult. We would like to train more reporters, producers, news department staff, executives, etc. so they are more sensitized to forecast uncertainty and how to communicate it with the help of our products, but we realize that a more focused “talking points” approach as described above will probably be needed to assist these busy folks in conveying a consistent message." With the thing still on the other side of the islands, experienced reporters and media meteorologists who should know better were posting and broadcasting pieces that sliced and diced exactly where it was "projected to hit Florida." It's aiming straight for Miami. Next advisory - straight to the Keys. Next advisory - along the Space Coast. Next advisory - back to Miami. Some of those pieces had a few words of cautionary context, but the graphics and the ledes did not. It was disappointing - and potentially dangerous, because that behavior can and probably will undermine public confidence and response the next time a real threat appears. So next time you're wondering why field reporters covering weather events for local TV stations seem so stupid, remember this line: "Reaching anyone in the television industry with such [media] training, except for on-camera meteorologists, has proven over the years to be very difficult." Sarah Palin - a woman who struggles with the English language on a daily basis - told CNN this morning that immigrants should "speak American." 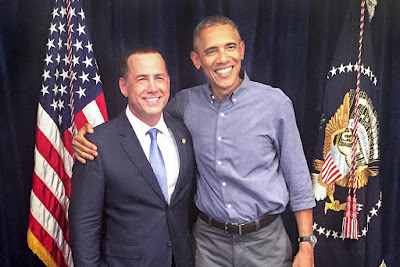 Is Miami Beach Mayor Philip Levine ready to admit he committed several crimes last March? Yesterday's MIami Beach City Commission meeting was a drama-free affair. 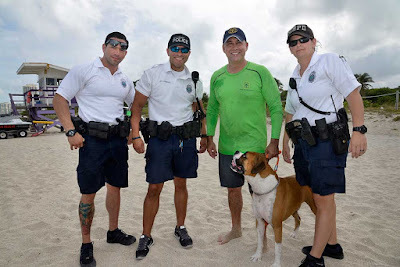 Mayor Philip Levine and all the commissioners were on their best behavior - a major deviation from last July's get-together that was full of insults and personal attacks. However, the meeting did take a bizarre turn when during a discussion about the problems caused on city streets by delivery trucks and vans, Levine interrupted Commissioner Michael Grieco in mid-sentence: "Michael, this is crucial," says Levine at the 0:43 mark on the video above. "I know it's crucial," Grieco responds. And then in an obvious reference to an incident last March when Levine confronted and bullied the driver of a Coca-Cola delivery truck, the mayor asks, "How does it affect like Coca-Cola trucks, or things like that?" Several commissioners can be heard snorting and guffawing. "I mean does it kind of like affect all soft drink companies?" Levine continues. 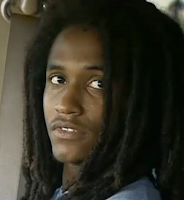 Levine has never admitted that he snatched the keys from the double-parked Coke truck and illegally detained the driver. In May, he refused to answer a TV reporter's questions about the incident. However, with yesterday's flippant remark it appears that Levine has no problem making light of the fact that he got away with committing some serious crimes ... but not quite ready to come out of the closet and admit he broke the law. It's been said that cats choose humans, not the other way around. That was true earlier this week when two kittens decided to claim ownership of two fishermen in a boat in an Alabama river.